I really enjoy an omelette that is cooked to perfection. I have never been able to master this joy at home, only enjoyed in restaurants. Guess I always used the wrong pan? But, now I can make an outstanding omelette at home with this Nordic Ware Rolled Omelette Pan. 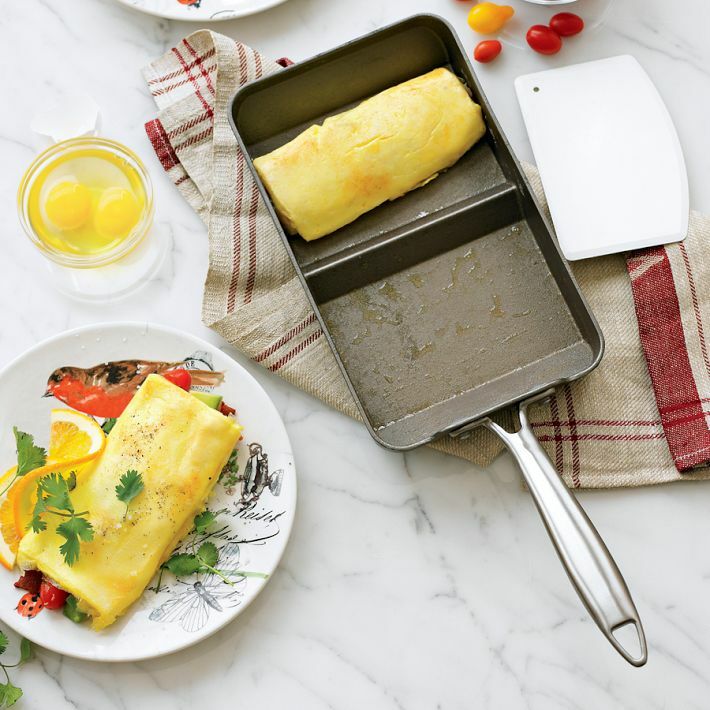 The pans custom-design makes foolproof omelets each time due to the center divider which allows you to fill one side with your goodies: ham, cheese, spinach, mushrooms or whatever suits your fancy. The cast aluminum makes for an excellent cooking service while the handy spatula makes “rolling” the omelette a breeze. And it is made in the USA ~ Yippee!! I love products made in the USA!! 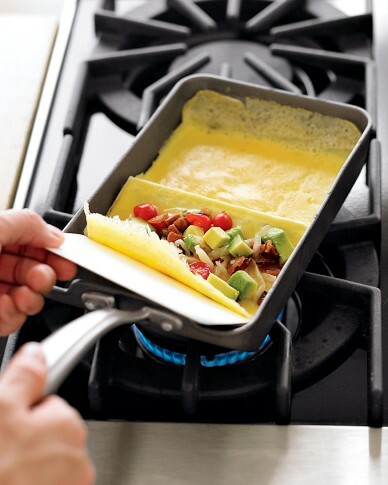 In your home kitchen or Airstream kitchen you can now have the omelette of your dreams!